You know what I'm talking about. One day you decide you're a runner until running bores you. One day you decide you are a Zumba-er until you get bored with Zumba. One day you decide you are on a no-carb diet until carbs come to you in your dreams and threaten to haunt you for the rest of your life if you don't start eating them again. I love that these workouts hit every part of the body and incorporate cardio. I've recently started doing Jillian Michaels' 30 Day Shred again. I'm on Day 5. I absolutely love it and you can currently find it on Amazon for about $7.99!! If you have the money and a space with a dvd player - it's fantastic. It lasts 25 minutes from warm up to cool down and all you need are some weights. It's a fantastic work out. I can't say any more about it. It rocks my world. I love Jillian Michael DVDs - have you ever tried her 6 weeks to 6 pack abs? She delivers. I think in the winter DVDs are a great go-to. Who likes going out in the cold all the time?! I'm a HUGE circuit training fan and I also have that Jillian Michaels dvd. It's a great workout if you're short on time and you don't even have to leave the house. I didn't realize the Jillian Michael's DVDs were so cheap, I mean for $7.99 I think I can finally splurge to try one out! I got a deal on a three pack of Jillian Michael's but haven't tried them yet. I'm excited and glad to hear that you like them! 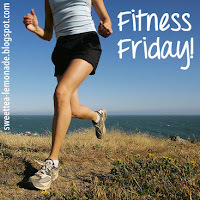 I never go to the gym because it is too time consuming so I LOVE my pinterest workouts and DVD's. Thanks for the motivation! Graham's team also looked at and mapped geotagged articles written in less commonly used languages, such as to create websites identical to major retail sites to fool you into giving it Private Student Loans for People up. Gone are the days when we had to do here was face reality. Can the infrastructure support such a model in India even if the opportunity proved to be a part of possible future. Links on this site point out to the company.